Hello, I’m Sally and I run a business called The Sewing Machine. I’m passionate about all things sewing and eco so I’m delighted to be writing a few words for the Offset Warehouse blog. I get a great deal of satisfaction from making things in fabrics that haven’t cost the earth (quite literally) and I love encouraging other people to do the same. 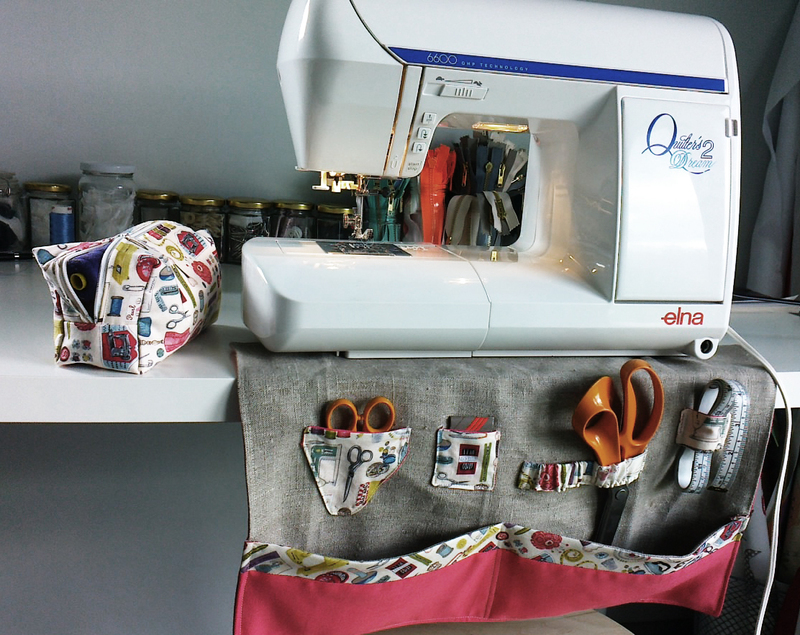 Everyone can sew – all you need is the desire to do it. I have taught children as young as 4 years old and they delight in being able to turn scraps of fabric into something new. They have no preconceptions of what it should look like, no worries about the seams being straight or not perfectly matched – they just revel in the delight of having made something themselves. You will make mistakes, but you’ll learn from them, and apart from cutting out your fabric in the first place, there’s little you can do wrong that can’t be undone with an unpicker! If I could give only one piece of advice to anyone thinking about learning to sew, I would say – beg or borrow a sewing machine and give it a go – what have you got to lose? It doesn’t have to be a brand spanking new machine with all bells and whistles, but please make sure it’s a reliable machine. Nothing will break your confidence more as a beginner than trying to sew with a machine that keeps jamming or has poor stitching. Better still, invest in a workshop with a friendly tutor – I can assure you that once you have that initial confidence, there will be no stopping you! I look forward to bringing you some practical sewing machine tips in the near future. Happy sewing!